The newly-elected chairperson of IRTA/Europe, Dorottya (Dori) Szabo, provided The Tuesday Report with an outline of her goals and perspective for the European family of barter companies. 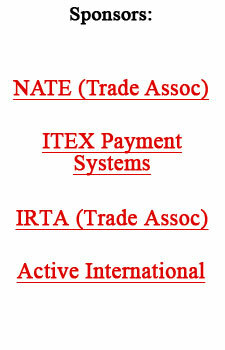 Szabo is enthusiastic and excited about the potential that is now present for current IRTA/Europe members, as well as for those barter company executives who have not yet entered the organization, because of the entity�s independent voice and focus on representing Europe�s uniqueness and best interests. She feels a collective cooperation by the members, coupled with awareness that they are financial architects, will positively affect the economy � so needed in these challenging times. � Organizing next year�s annual IRTA/Europe Conference. Dori Szabo�s e-mail is dszabo@globalxchange.hu. Jack Schacht�s Shop As You Give.com is launching its beta test with several non profits before Labor Day. Participating nonprofits who have already enthusiastically jumped into the program include several public charities such as The Humane Society and Habitat for Humanity, youth organizations such as Bethlehem Center and Hope for Tomorrow, senior citizen organizations such as The Council on Aging and The Elder Care Planning Council, and a mix of churches and other religious organizations. Many barter exchanges already have several nonprofit members who can benefit from this free fundraising program. By enrolling a nonprofit you receive a full 12% of the gross profit on all sales for the first year and renewal commissions on an ongoing basis in subsequent years. Shop As You Give provides nonprofits with their own free online department store, loaded with thousands of high quality brand name consumer products that people buy every day. Prices beat a solid majority of other online retailers and, in some cases, beat or meet the prices of ALL other retailers. The store can also be customized with the nonprofit�s logo and other branding elements. They can even eliminate product categories that might conflict with their mission statement. Nonprofits receive 30% of the gross profits, 100% of all donations at checkout, and full reports on their supporter�s purchases � all without any staff requirements. Interested parties can e-mail Jack personally at j.schacht@shopasyougive.com. Mitchell Schultz, known throughout the barter community for the trading of Broadway show tickets as well as other endeavors such as various fund-raising efforts, is now onto something more ambitious. He�s the managing director of Xtraordinary Adventures, a company that offers suborbital flights to the edge of space. The flights will begin in early 2012. Schultz calls this experience a �pinnacle life event� and says it will be one of the greatest awards a top executive can receive. Cost for this one-of-a-kind experience is $95,000. In an effort to increase Universal Currency�s (UC) trade volume and provide top-notch customer service to members, UC has named Patty Weston as its new international broker beginning August 9, 2010. Patty is an experienced barter broker, having worked for five years as a travel broker in Michigan. She recently moved to Winter Park (FL) and will be helping the Florida Barter team, of which owner Scott Whitmer is currently serving as the UC Committee chairman. Patty Weston can be e-mailed at patty@irta.com or phoned at 321-397-2050.